If you follow bees, you've likely heard of a class of pesticides called neonicotinoids. They're supposed to be safer for humans, because they're often applied to seeds rather than sprayed directly on plants. But they've become a flashpoint for beekeepers and environmental groups, who argue the pesticides have conributed to widespread collapse of bee colonies, and who've sued federal regulators for not protecting bees from the chemicals. Now the Environmental Protection Agency, in conjunction with the California Department for Pesticide Regulation, has released its first assessment of one of those chemicals, imidacloprid. Essentially, the report found that pesticide residues in the nectar and pollen of certain crops, like citrus and cotton, pose a risk to bees. But residue on other crops, like corn and leafy vegetables, did not pose significant risk. That angers Steve Ellis, who says he watches his bees get sick when the chemical is used on nearby cornfields. "You can see dead bees in the bee yard, on the bottom board and pallets, with their hives. And on their backs, with their legs going a mile a minute," says Ellis, who's preparing to move his hives from Minnesota to California's Central Valley, as he does each winter. Beekeepers have been complaining about the effects of neonicotinoids for more than a decade, and beekeepers like Ellis say it's time to take some strong action to regulate the chemicals. "It's just way too long, way too slow, and it's unacceptable," says Ellis. "And I believe they were overly-reliant on industry-funded studies, and industry-run studies, and that's always problematic." The California Department of Pesticide Regulation confirms that it asked the manufacturers of these pesticides to conduct tests, although independent government scientists verified the results. Bayer Crop Sciences, the company that manufactures imidocloprid, said in a statement that new studies continue to confirm that neonicotinoids are safe for bees and other pollinators when used appropriately. "We will review the EPA document," the statement reads, "but at first glance it appears to overestimate the potential for harmful exposures in certain crops, such as citrus and cotton, while ignoring the important benefits these products provide and management practices to protect bees." Farmers applied imidocloprid to about 1.5 million acres of crops in California in 2013, mostly on grapes, tomatoes, oranges, and cotton. 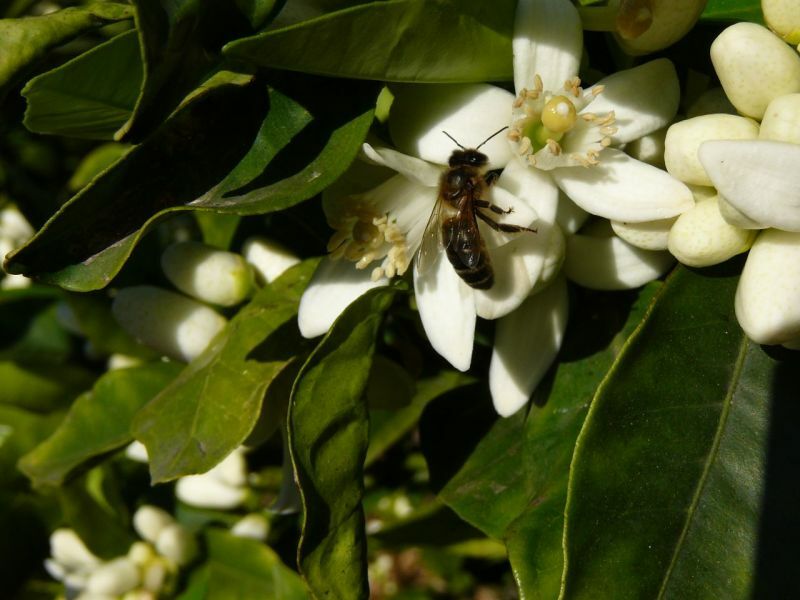 The fact that the EPA found a risk to bees when the pesticide is used on citrus worries Bob Blakely, vice president of California Citrus Mutual. The trade group represents most of the state's orange and lemon growers. Blakely says he doesn't want to see regulators ban imidocloprid. "It will force us to go back to some of the older chemistry, the harsher chemicals that the activist community has rallied against for years," says Blakely. "It would actually be a step backwards." Blakely is particularly concerned because imidocloprid is used to control the Asian Citrus Psyllid, which threatens the state's $2 billion citrus industry. On the same day the EPA released its report, beekeepers again sued the agency for not regulating neonicotinoid's use as a seed coating on crops. "EPA can't bury its head in the sand any longer," says Marcia Ishii-Eiteman, a scientist at the Pesticide Action Network. "Seed coatings are just the latest delivery device of pesticide corporations that pose a threat to pollinators and the food system." Editor's Note: In 2012, Sasha Khokha ventured into an almond orchard near Modesto at night to report on a new class of pesticides that worried beekeepers. She gets stung way too many times, questions independent researchers who were evaluating the chemicals and talks with a representative from Bayer Crop Sciences, who manufactures them.